Wetlands are one of the most valuable ecosystems on Earth. They store three times more carbon than terrestrial forests, improve water quality, and are home to a diversity of species. Wetland Wander is an art-science collaboration that aims to inspire engagement and conservation of these critical ecosystems. Led by wetland ecologist Fernanda Adame, sound artist Leah Barclay, walking/media artist James Cunningham, and multimedia artist Suzon Fuks, Wetland Wander incorporates knowledge from current and traditional landowners within Quandamooka (Moreton Bay), and Nywaigi, Gulgnay and Girramay Countries (Queensland, Australia). 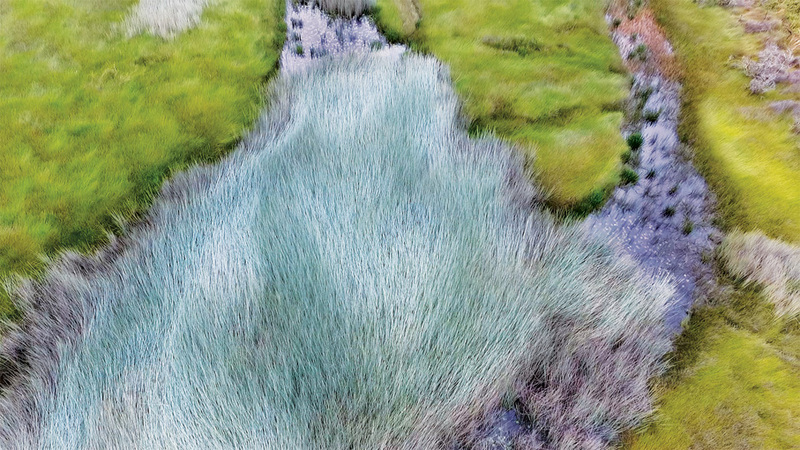 Visitors to RAG can explore these valuable ecosystems in an immersive video exhibition that features 3D soundscapes, and can also see more of Wetland Wander at Redland Performing Arts Centre from Monday 16 to Saturday 28 September 2019. This project has been supported by the Australian Rivers Institute and Queensland Conservatorium Research Centre at Griffith University, the Queensland Government through the Advance Queensland Program with an Engaging Science Grant and an Advance Queensland Fellowship, and by Igneous Incorporated. Image: Wetland Wander, Eighteen Mile Swamp close up (detail) 2017, photography. Courtesy of the artists.